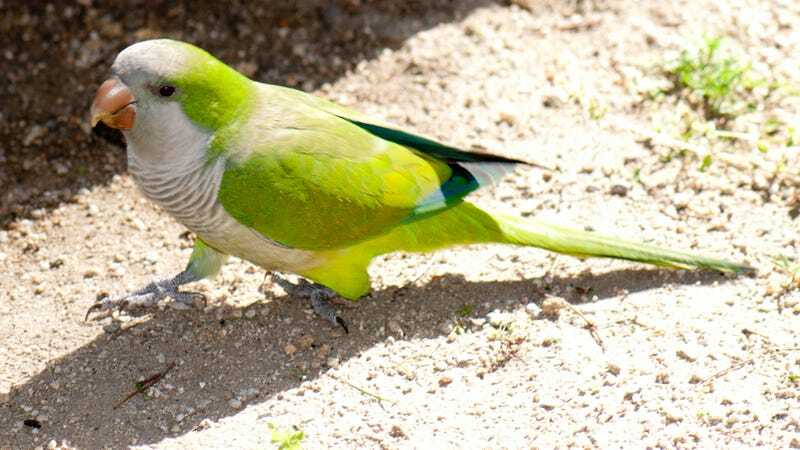 Spain’s got a real parakeet situation, and environmental experts are saying that snipers are the best remedy. Dailos Hernández-Brito, researcher at the Biological Station of Doñana, the Andalusian national park that is considered Europe’s largest nature reserve, said that affected areas were now considering two options: trapping and extermination through shooting. The birds are a threat to agriculture, their screeching is bothering the locals, and “the risk of large nests falling from trees are also a problem in urban areas.” Not to mention the fact that the birds carry psittacosis, or parrot fever, a disease that affects the lungs. Hiring bird snipers has been suggested in other parts of Spain, but plans were, ahem, shot down, amid protests from animal activists. In July, the town attempted to throw more birds at the problem by introducing Peregrine falcons.